Whether you plan to launch your career immediately or intend to pursue further study after graduation, our graduate admissions team is here to help you take the next step toward furthering your research and your career. Send us your official college transcripts from all of the institutions you’ve attended. If your cumulative college GPA is below a 3.25, please also submit official GRE scores. If your cumulative college GPA is a 3.25 or higher, the Graduate Admission Committee may waive the GRE requirement. Submit a Statement of Purpose. This should be a brief summary of your research interests and goals for the program. Once the above materials have been submitted, your application will be reviewed by the Florida Poly Graduate Admission Committee. 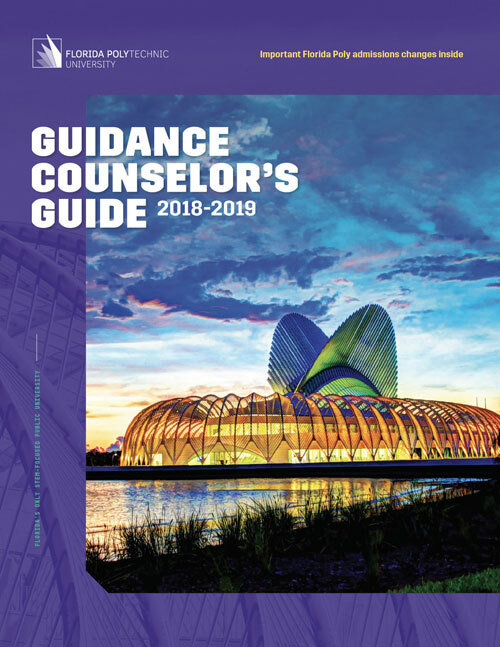 Admission to our graduate program is a selective process, and the committee will conduct a comprehensive review to assess each applicant’s promise for academic success at Florida Poly. The graduate program enrolls students for the fall term only. The deadline for the admissions application and all supporting documents is July 1. We’re redefining the conventional college experience, and we can’t wait for you to join us. Learn more about Florida Poly and get ready to become a part of something extraordinary. Whether you’ve got a question about upcoming deadlines or just need help with the application process, our friendly admissions team is here to assist you.